This violin quartet is arranged for 2 less-experienced students (parts 2 and 4) and 2 more advanced students. The PDF is in score form, individual parts are available upon request at no extra charge for the number of licenses you have purchased. mp3 recordings of each part are also available at no extra charge for the number of licenses you have purchased. After purchase, please contact me or leave me a comment letting me know if you need any of these additional materials. 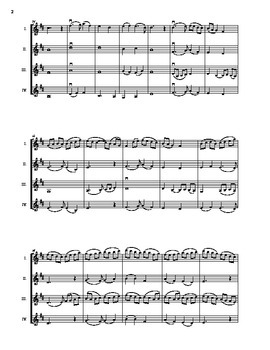 I do NOT own this piece, it is posted her with permission of the composer and a portion of the proceeds will return to him. 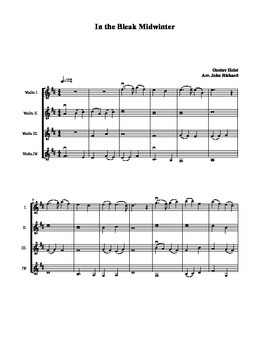 Composer John Richard arranged these pieces for the specific needs of my group. If you are interested in having him arrange a piece for your group, please contact me for his information.